Government spying and malware may be taking up the bulk of the privacy conversations these days, but there’s one type of virus that’s been silently infecting computers: spyware. Spyware is a type of computer virus that hides on your computer or mobile device, records your private data and sends that information back to whoever created it or monitors it. The tricky thing about spyware–and what separates it from the growing threat of ransomware–is the fact that spyware is designed to both install discretely and operate silently in the background. However, you can remove spyware for free with a variety of tools, including some highly functional virus scanners from big names in the industry. 4 What is spyware? How does spyware work? There are a plethora of free spyware removal tools out there. Many free spyware tools target specific types of spyware and can easily get part of the job done. However, most are designed to provide more holistic spyware removal. Nevertheless, some forms of spyware can be extremely aggressive and block removal attempts, meaning you may find yourself needing a more specialized spyware removal tool alongside those that attempt to remove all types of malware. Given the way spyware works, there’s a chance you won’t know that you have one hiding on your system. Any spyware that obviously makes itself known is not working as intended, so you may have spyware hiding on your machine for months or even years without realizing it. You also may not know what kind of virus is hiding on your system until you run a virus scanner. When it comes to spyware removal tools, there are more options available than you can shake a tracking cookie at. And while most will certainly clean your machine, not all will clean your computer effectively. In fact, many programs currently available are not trustworthy. Some may even be viruses in disguise. Although we used simple criteria, we applied it rather aggressively to get rid of any programs that seemed even slightly suspicious or of poor quality. That meant dropping sketchy services like Yet Another Cleaner (YAC), and those with extremely poor ratings and lacking in recent updates, such as Lark AntiSpyware. We were left with 14 high-quality services that include some powerful free tools from big names in the industry. 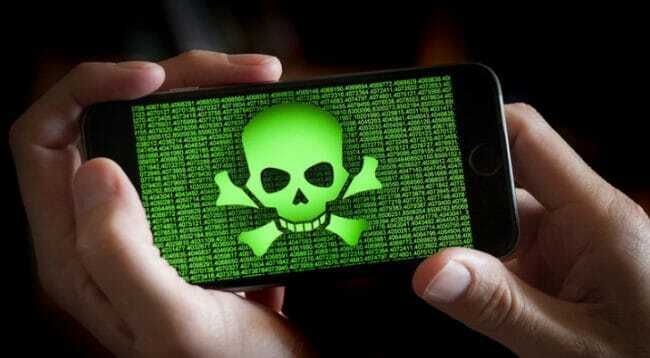 The following free spyware removal tools all cover the most common forms of spyware. We’ve verified that each tool is 100% free and remains 100% free for life. Most of these tools are pared down versions of paid software applications that can expand your options to include a higher level of protection against spyware, most malware, and even some protective methods against ransomware. Only a small handful of free antivirus programs make it past independent lab testing. Avast Free Antivirus is one of them. Although Avast Free Antivirus is a more general malware removal tool, it’s well-crafted to remove all forms of malware. That includes adware, trojans, rootkits and more. Additionally, Avast Free AntiVirus is one of the few free spyware removal tools on our list that includes real-time protection. Avast Free Antivirus also includes a secure 1-click password vault for websites and a scanner designed to help detect weaknesses in your Wi-Fi network. Avast Free Antivirus is also one of the most extensive AV programs available for those looking to rid themselves of spyware. There are free versions of the tool for Windows, Mac, Android, and iOS devices. Looking to beef up your security even more? 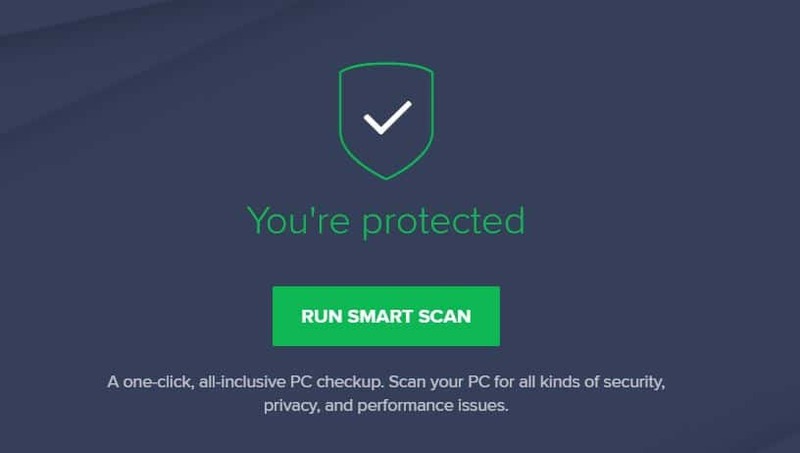 Avast also offers an Expert, Advanced, and a Complete version of their software that each add more security features to your computer. Users have been turning to AVG Antivirus Free for free malware and spyware removal for years. More than just a leader in the industry, AVG has provided one of the most consistent, high-quality malware removal tools available. AVG Antivirus Free can remove most of your system’s spyware, from trojans to adware to junkware. This antivirus software includes real-time protection, actively blocks unsafe links, downloads and attachments, and receives regular virus definition updates. Although already a nearly-complete package as a standalone free tool, AVG Antivirus can be expanded for $69.99/year. Adding in the yearly subscription means you’ll get secure personal folders that can help prevent ransomware data loss, enhanced firewall, extra detection and protection against fake websites and an included Antivirus version for Android. AVG Antivirus works with Windows XP and newer, Android 2.2 and above, and Mac OS X 10.8 and above. Comodo is quickly becoming a household name in internet security. Well known for offering SSL security to websites, Comodo also offers up antivirus software tools and a free malware removal tool through its Free Anti-Malware BOClean. BOClean is packed with features that make it a perfect option to remove spyware. This includes real-time protection to prevent infection from future malware and easy removal of the worst kinds of malware, including adware, trojans, and rootkits. Comodo Free Anti-Malware BOClean easily competes with Avast. With fully automated malware removal, free automated updates and minimal system usage, BOClean is a slightly “lesser” program compared to Avast only due to working on fewer operating systems. BOClean is designed to work on Windows XP through Windows 7. It can work on Windows 8 through 10 but is not optimized for either. In an attempt to keep up with its main free rivals, Adaware Antivirus Free is designed with real-time protection, download protection, and award-winning malware removal tools. Independent testing lab AV Comparatives has consistently awarded Adaware Antivirus with high marks for performance, file detection, and malware protection. Adaware (formerly Lavasoft) Antivirus Free can remove all standard and many deeply rooted forms of spyware, including rootkits, trojans, and adware. Free for life, Adaware also significantly expands on their quality service for those that need some enhanced features. Adaware Pro adds web protection, customer support, advanced firewall and more, while the Total package also includes a “Digital Lock” to help protect files against ransomware, and includes a file shredder and parental control for content filtering. 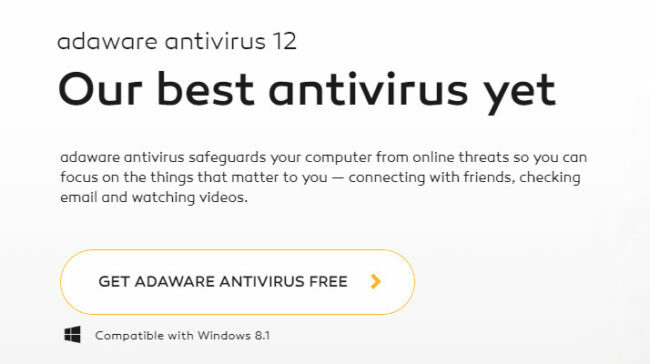 Adaware Antivirus Free is available for Windows users running Windows 7 through 10. Unlike some of the other options on the list, SUPERAntiSpyware has a very targeted purpose. While programs like AVG and Comodo are designed to cover your whole system, SUPERAntiSpyware lives up to its name as a purely spyware-focused removal tool. SUPERAntiSpyware has a free program that covers almost every type of spyware you may have on your system: adware, trojans, keyloggers, worms, dialers, hijackers and more. This spyware removal tool also includes a much-needed registry repair function that can help restore your internet connection should the malware infecting your system edit your registry and take your internet connection offline. Included with the SUPERAntiSpyware tool is a scanner just for helping you remove unwanted operations that may be slowing down your system. If you found SUPERAntiSpyware effective, you may also want to expand on its always-free tool with the Professional version of the software for $29.95. The professional version more than doubles the number of available features for this software, adding in real-time protection, automatic updates to the software, scheduled scanning, start-up scanning and more. Designed by a much smaller company than some of the top performers, Spybot is a free tool that deserves its spot on our list. With the free download, Spybot users will get scanning and removal tools for malware and rootkits, internet protection to help users avoid downloading viruses hiding online, limited real-time protection against new viruses, and a small handful of other useful features. Like what Spybot Search and Destroy has to offer? You can beef up the features list by purchasing either the Home addition or the Professional edition of the program. The paid versions of the program include protection for all types of malware and spyware, more active real-time protection, system repair (Professional only), task scheduling, and much more. Spybot Search and Destroy is designed to work with Windows computers but does include an iPhone app scanning tool for those with the Professional version of the program. You wouldn’t be blamed for turning your nose up at Free Fixer. After all, the service sits on a website that looks like it was put together on a rainy afternoon and resembles something you might find online in the mid-1990s. Nevertheless, Free Fixer is a regularly-updated spyware removal tool that is specifically designed to help you remove troublesome spyware and move on with your life. The software also maintains a small presence on your system with little demand on system resources. Free Fixer works on the more common types of spyware that may be infecting your system: adware, spyware, trojans, rootkits, some viruses, and trojans. Given Free Fixer is more targeted to spyware removal, it lacks most of the features you might find with other options on this list. Consequently, that also means it also shows a lower profile on your system. Like many of the other programs on this list, Free Fixer has a free-for-life option that can be expanded with a paid option. The free version of Free Fixer includes a system scan for unwanted spyware, malware removal tools, an online database of over 90,000 files, and allows you to upload files for enhanced virus scanning. For $9.95, your Free Fixer download will also come with a quarantine option. Unless you’re afraid of deleting the wrong files or don’t have any form of data backup, the extra money for quarantine is not a particularly good deal. The standalone Free Fixer should cover most spyware issues without the need for quarantine. The program is only available for Windows users running Windows 2000 through Windows 10. Norton is well-known for its powerful antivirus software. In fact, independent virus testing lab AV-Test consistently awards Norton Security with its highest possible ratings across all tested categories. Given that, the fact that Norton provides a completely free spyware removal tool through its Power Eraser is a blessing. As Norton states, their Power Eraser utilizes the company’s “most aggressive scanning technology.” As such, the program is designed to target deeply rooted malware, spyware, crimeware and many other PUPs (Potentially Unwanted Programs). Unfortunately, Norton does not go into much detail on the software and everything that it can do. This makes it a bit of a gamble if you’re actively dealing with a significant spyware problem or if you’re planning ahead and downloading a spyware removal program “just in case.” While we can recommend Norton Power Eraser in general if you’re looking for a tool that provides more details on what it will handle, one of the other options above will likely cover your needs. If you’re using Windows 95 through Windows 10, the RegRun Reanimator may help clean your spyware-infected machine. Designed to work without interfering with your current antivirus software, RegRun Reanimator specifically targets spyware, malware, trojans and a number of rootkits. RegRun Reanimator is the free but feature-limited version of the paid RegRun Security Suite. Unlike the other options on our list, RegRun Reanimator removes malicious programs and spyware remotely. Users send a Reanimator report to RegRun’s support team. After analyzing the file, the support team will send back a “cure” file in return that’s designed to run through the Reanimator software and wipe out any spyware or other malware that may be infecting your system. Given RegRun’s remote removal approach, effectively cleaning the spyware from your system can take much longer than normal. For many users, this can be hours or a day or more. While RegRun Reanimator comes highly lauded by those who have used it, it’s a solid program that may not be right for everyone’s needs and schedule. Software company EMCO has a line of products, most of which have nothing to do with antivirus removal and protection. However, the company offers up a free malware removal tool with its Malware Destroyer software. EMCO promotes a large threat library: over 10,000 definitions and growing. That library includes over 29,000 worms and more than 26,000 trojans. There are also more than 5,000 adware and spyware definitions in its threats database. EMCO Malware Destroyer is strictly a malware removal program and comes with far fewer features than most other options on the list. Its purpose is specifically to scan for and remove malware with no noteworthy additional features. While the list above contained malware removal tools that can cover all forms of malware and spyware, the following three options are designed to clean only specific types of spyware and junkware that could be either spying on or slowing down your system. We gave Bitdefender Antivirus Plus a perfect 10 in our review of the software. Bitdefender is quickly developing a positive reputation for its low-cost antivirus software. With that in mind, if all you need is adware removal, Bitdefender’s Adware Removal Tool for PC might be right for you. The Adware Removal Tool targets adware that might be causing problems with your system. That includes adware installed on your system and adware attached to your web browsers, including junk toolbars and annoying web search plugins. Bitdefender’s adware removal tool utilizes the company’s proprietary software to target adware at no cost to the user. The tool works on Windows XP and above. Not to be outdone by Bitdefender, Malwarebytes also has its own adware cleaning tool. Unlike Bitdefender, not only does the Malwarebyes AdwCleaner get rid of intrusive adware and browser toolbars, it also targets Potentially Unwanted Programs (PUPs), and browser hijackers. Need more? Malwarebytes also provides full antivirus removal and prevention tools for Windows, Android and Mac users. Separate from its AdwCleaner, Malwarebytes also offers up a free Junkware Removal Tool. Interestingly, this program is designed to clean the same types of programs as the Malwarebytes AdwCleaner: PUPs and adware. However, the Junkware Removal Tool is more specifically designed to focus on junkware, or programs that are often installed alongside other programs and that add to system bloat. These are often known as “hitchhikers,” which the Junkware Removal Tool is designed to sweep away from your PC. If your system was cleaned but there still seems to be something wrong, you may have rootkits hiding on your system. Rootkits can be particularly troublesome and in many cases are able to evade less thorough antivirus removal tools and scanners. Using Malwarebytes Anti-Rootkit, you may be able to “root out” any unwanted rootkits still hiding on your system and giving away your private information. Malwarebytes specifically identifies this software as a “Beta” version, meaning it is still in development and may not be complete or live up to expectations. What is spyware? How does spyware work? “Spyware” is a larger category of malware or viruses that are designed to discreetly infect a system, gather information on the user, and send that information to a third party. The information stolen by spyware can be anything. However, spyware is more specifically designed to gather sensitive information that can be used or sold by third parties, such as usernames and passwords, social security numbers, bank and credit card information, or other sensitive data that can be used for identity fraud. Because spyware is designed to be unobtrusive, quite often many users who are infected with spyware never realize that it’s actually there. That said, many forms of spyware that get rooted in a system have a much larger presence than anticipated, drawing on system resources and noticeably slowing down infected computers. While all spyware is undeniably bad news, not all spyware shares an equivalent threat level. Trojans, adware and system monitors (such as keyloggers) are generally considered the worst forms while tracking cookies are typically considered highly undesirable but not necessarily “virulent” in the traditional sense. Many computer users–Windows users, in particular–will likely be familiar with both adware and cookies. Adware often presents itself either as popups, extra toolbars on a web browser, or fake software designed to look like more legitimate software. These can be inserted in any type of innocuous software, but are commonly attached to other software downloads. Tracking cookies, however, are a bit more difficult to avoid. Normal website cookies are text files that your web browser creates every time you visit a website. These files can hold different types of information about how you interact with a website, including saving your sessions on that site so that you don’t have to insert your login information again. Importantly, normal cookies are only created and used by each individual website you visit. However, some cookies are designed to not only record what you do on any given website, but they track your browsing activities across every other website you visit. As such, tracking (or persistent) cookies will follow you around the web, gathering information about what you’re doing online. These cookies are not usually virulent and don’t typically try to collect highly sensitive information. Instead, they’re more commonly designed to record your browsing habits in order to deliver targeted advertisements. Meanwhile, “trojans” are a somewhat generic term for any virus that’s designed to hide as a harmless program. Trojan’s notably do not replicate on your computer. And indeed, many types of viruses can be considered trojans, so long as they fit the main criteria. Many trojans are not spyware. Computer security company Malwarebytes provides a detailed write-up on not only what makes something a trojan, but on the many types of trojans. “System monitors” can come in many forms. Keyloggers, which record any information you type through your keyboard, are among the most notorious. There are others, however, that can mirror all of your computer activity and send that information to third parties. Some can graphically copy everything your computer is doing in real time. These are rare, however, and may not be as big a concern. In general, most spyware can be blocked by using antivirus software with real-time protection. Most spyware removal programs offer paid versions of their software, while many high-quality, full-suite antivirus software programs can be acquired for a low cost.